Henry Lin analyses the future of US Quantitative Easing and the options the new Chairman Janet Yellen faces in undertaking an eventual exit of the program. With the US debt ceiling talks and the new Chairman of the Federal Reserve (Fed) Janet Yellen dominating the business and economics headlines, the economic woes of the US are back in the spotlight. It reminds us of the sluggish and vulnerable economic recovery that the US is currently facing on the back of ongoing Quantitative Easing (QE) monetary stimulus. Despite the debt standoff and the likely continuation of QE as Yellen leans towards employment over inflation, what is still a looming concern is the eventual exit of the QE program by the Fed. Due to the risks of a disorderly exit, the process is made more complex as timing, pacing and communication all need to be carefully managed, and both implications for the US economy and the potential collateral damage around the world need to be considered. Firstly a disorderly exit is when the Fed is either too aggressive or too soft on withdrawing the excess reserves from the financial system, or there is an unforeseeable event in the markets, which jeopardises the whole process. During the unwinding process the Fed basically sells US treasuries and its mortgage backed securities back into the market, in exchange, the money received by the Fed would be taken out of the financial system to reduce the monetary base (note: not the same as money supply). Below is the chart of the US monetary base from 2001 to now. This will mean that the excess reserves sitting within the financial system will be returned to the Fed, which otherwise could have been lent out. As prices of US treasuries securities go down due to the Feds selling, the yields to maturity will go up which affects investors, the US government, returns on super funds, foreign investors and results in an appreciation of the US dollar. If the fed is too aggressive by selling too much or too early it risks choking momentum off the US economic recovery; this type of exit is likely when you have an inflation hawk central bank. During an economic recovery we should expect demand for credit to rise, perhaps returning to the US historical norms. So by reversing QE too aggressively, the banks will face a shortage of funds available to lend out, and/or banks would need to tighten its lending standards to balance out the supply and demand for credit. An aggressive appreciation in the US dollar can also be problematic not only for currencies that are pegged to it, but also for countries that import from the US. This is because they experience rising prices for those imports, meaning less demand for US exports, thus undermining US growth and potentially high inflation for those affected countries. Another area to consider is US bond yields and treasury securities, as spikes in US bond yields from overselling or financial market routs can pose problems for US fiscal finances. Not only are the US’s credit rating and debt ceiling problems considerably hinged upon yields of US debt securities, but also global finance as a whole due to the importance that US treasuries/bonds play in the financial system. It can also cause big losses for foreign investors/governments/central banks holdings in US bonds/treasuries, leading to additional sell off and geopolitical backlash. With talks of US economic recovery and winding back of QE recently, there has been some capital flight from emerging markets, especially in India and Brazil, e.g. bond yields have risen and offshore bank accounts are being reduced. Traders have also riled their currency markets, and it gives rise to risks such as speculative attacks against efforts to stabilise the depreciating currency. The potential for collateral damage to the global economy is high during an aggressive QE unwinding. If the Fed is too soft, and the economy picks up much faster than the QE unwinding, and we could see the resurfacing of debt-fuelled asset bubbles, unsustainable GDP growth and also high inflation. Hyperinflation could also come to fruition, and that’s when things become out of whack. Not only would we have a problem with too much credit in the economy but also abnormally low interest rates, meaning aggressive monetary policy would be needed to reverse these adverse effects. There could be many reasons why this type of exit could happen: perhaps unemployment was still higher than what Yellen would’ve wanted, or perhaps uncertain/weak economic data clouded the judgement of the Fed. 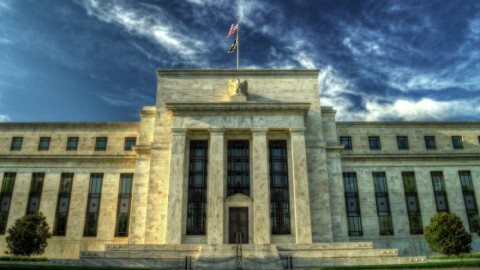 An extra issue the Fed faces is the communication of its monetary policy, much of this complication ties with the financial markets reactions and future expectations, both of which can heavily sway yields on US debt securities and exchange rates. The policy stance of whether you are expanding the QE program, slowing expansion, neutral or withdrawing excess reserves will have its own unique effect in the market. Also whether you hint about your policy stance, make clear statements, or even when you deliberate from the minutes of the Fed meetings, sends signals to the markets and could undermine the operations of an orderly exit. 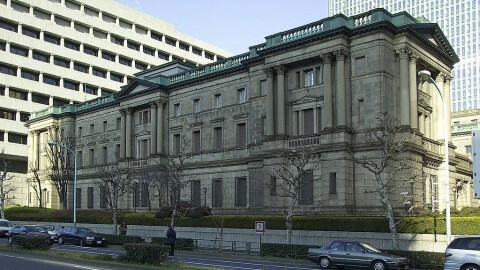 For example during June 2013 the comments from Bernanke about deliberations of scaling back operations of QE in the near future caused turmoil in the markets, US bond yields went up, emerging market currencies depreciated against the dollar and there was a lot of fears from the repercussions of an disorderly exit, yet the Fed hadn’t done anything but continue to buy $85 billion more assets in that month. The challenges of an orderly exit from Quantitative Easing by the Fed are immense, as there are so many factors to consider and so many complications that could surface from unwinding monetary stimulus. The Fed is currently in historically unchartered waters with a massive QE program that dwarfs the one in Japan in the early 2000s, both in terms of size and its ramifications on global finance. It will take a lot of economic skill and intricate decision making by the Fed in order to successfully produce an orderly exit of the QE program.